A mine can now proceed to dump millions of tonnes of waste into the sea in Papua New Guinea after a legal battle to stop it was abandoned. 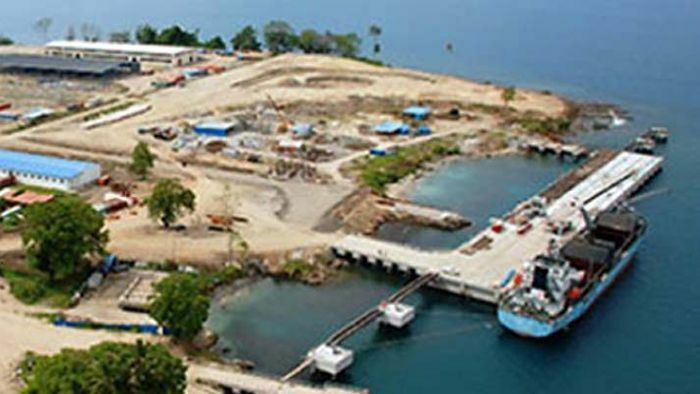 A temporary injunction had been preventing the Ramu nickel mine from building a deep-sea tailings pipeline in Astrolabe Bay, near Madang. But this week the landowners who won the injunction dumped their lawyer and abandoned the legal battle to make it a permanent ban. National court Justice David Cannings approved their request to discontinue the proceedings, but said their change of heart was "suspicious". He said people would legitimately wonder if the landowners had been threatened, intimidated or paid off. The decision means the majority Chinese-owned mine can proceed with plans to dump 5 million tonnes of tailings a year into a deep-sea trench.